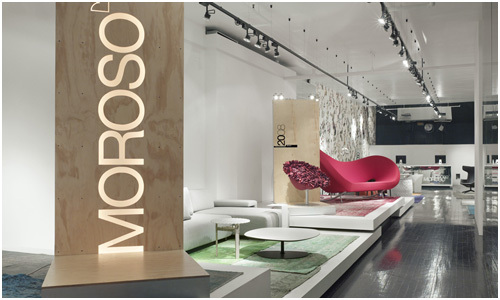 Italian furniture company Moroso opened a mobile showroom in New York, showcasing products from past to present. Moroso commissioned Rockwell Group, known for projects in hospitality, retail, product and set design, to put together this traveling show. Rockwell Group’s concept for the traveling show adopts some of the materials and techniques used to craft Moroso furniture. They created a composition that recalls a boardwalk, comprised of horizontal and vertical pallets made in part from unfinished wood frames, upholstery tacks and theatrical clamp lighting – all peppered with a little neon flourish. Along the path will be 25 significant pieces from the Moroso oeuvre with some interesting histories illustrated through images and drawings from Moroso’s archives. 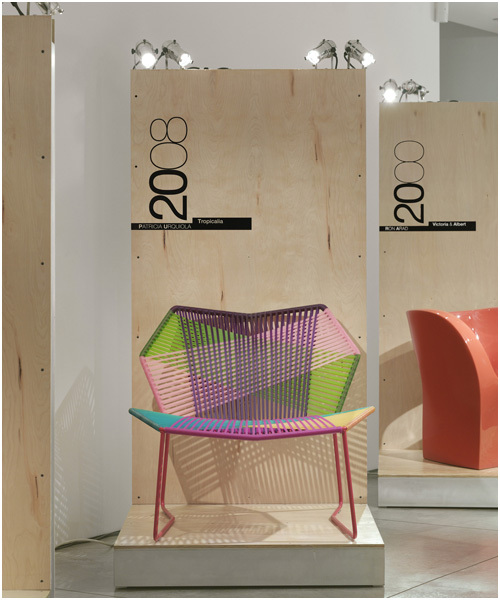 Moroso is also working with Rockwell Group on a collection that is expected to debut in Milan in 2012. The traveling showroom will be in New York through November 26, and then it will move on to Chicago. In 2012, the showroom is expected to be inPhiladelphia, Miami, Dallas, Los Angeles, Atlanta, Seattle, and Vancouver. 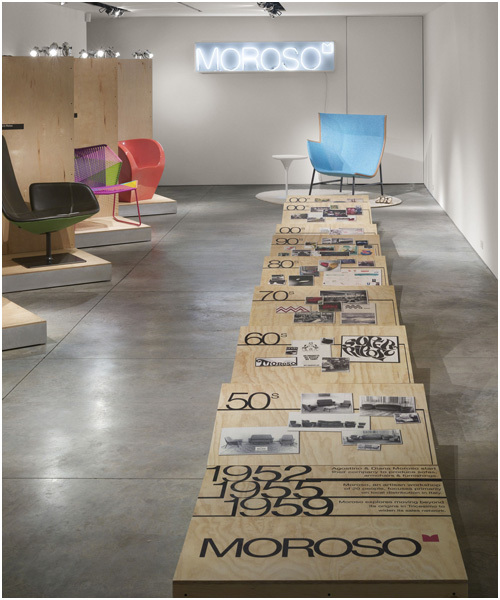 For the latest check out Moroso’s Facebook and Twitter pages.